Women perform a large number of essential and unique roles in society. From authors and actresses to CEOs and engineers: Women prove time and time again that they can perform any job just as efficiently and professionally as any man can. They are just great teachers, period! All teachers, male or female, are heroes and heroins: we inspire the next generation with our tireless efforts to educate, sustain, help and care for our learners. 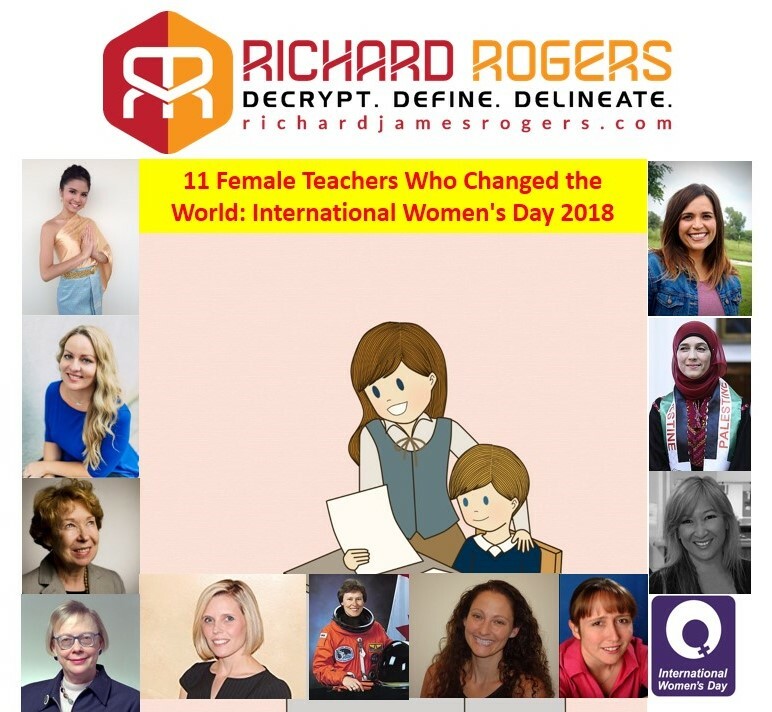 This blog post celebrates the lives and works of ten truly exceptional female teachers who continue to inspire and influence educational thought, methodologies and practice in classrooms and universities all over the world. Their work not only benefits others but shapes and molds traditional pedagogy so that it continually evolves and improves as the years go by. With any ‘11 Best’ list we have to very selective – not everyone can be included! If you feel that another female teacher is worthy of mention then please do comment using the box at the bottom of the page. All but one these amazing women has a twitter handle. If you click on the twitter image it’ll take you to that person’s twitter page. Why not send a nice message to your favourite out of these 11 women? In celebration of International Women’s Day 2018, a nice message on Twitter to thank one or more of these women for their amazing work will go a long way and will probably bring a smile to their faces. If you’re reading this on a mobile device then it might be best to switch to ‘reader view’ now, as the many images below may make the layout a bit messy. So now let’s begin our celebration of women in education! I was first introduced to Sue Cowley in 2008 when I was a struggling NQT. I walked into my local bookstore in Chester and a book title instantly attracted my attention: ‘Getting the Buggers to Behave’. I read that book from cover to cover 3 times in 7 days: I found it completely compelling and totally ‘unputdownable’. The advice in the book: such as the dynamics of giving students a second chance to redeem themselves by not punishing immediately, really made sense to me. I just hadn’t thought about behavior management in this way before! It was a truly life-changing experience! I like books that are practical and entertaining and Sue’s book was definitely that. If you’re struggling with behavior management then you MUST get this book! It could save your career (and your sanity)! 12 years after I read ‘Getting the Buggers to Behave’ and we find that Sue has build up an impressive international reputation as an educational influencer, teacher-trainer, speaker and bestselling author of twenty books! Sue was even recently called to appear as an Expert Witness on behavior in schools for the Education Select Committee made up of MPs from the UK Parliament. I think it’s right to say that Sue’s advice works! Her latest book: ‘The Ultimate Guide to Differentiation’ (which is brand new, being published literally three days ago on March 8th!) seems set to rocket to the bestselling charts just like the legendary ‘Getting the Buggers to Behave’ did. Check it out on Amazon by clicking on the image below. Starr Sackstein is one of those all-time inspirational grassroots teachers who discovered the right way to do things and the right way to tell the world about it! Her teaching career started just over 16 years ago in Far Rockaway High School, where she was keen to have an impact and make a difference in the lives of so many. She quickly mastered rapport-building with her students and recognized, on a deep level, the most important part of teaching: relationships. To this day, Sackstein continues to elevate and develop her students by putting them at the center of their learning. Sackstein has authored a large number of truly uplifting, enriching and thought-provoking works including my personal favorite: ‘Peer Feedback in the Classroom’. I’ve read this book a whopping three times and I can honestly say that it is perfect for understanding what meaningful feedback looks like (and it’s not about percentages and numbers!). 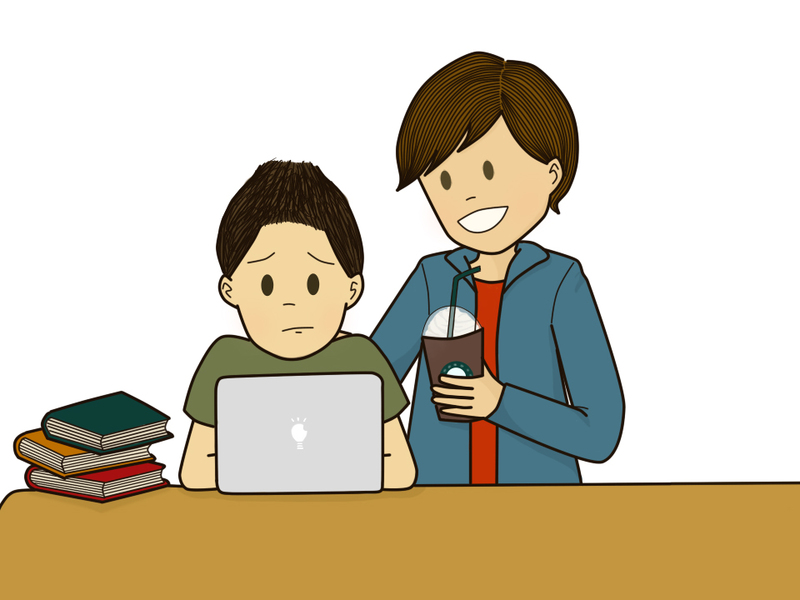 Starr effectively balances her career of writing and teaching with being the mum to her 12 year old son: Logan. If ‘inspirational’ and ‘life-changing’ were adjectives that could be measured in numbers (contrary to Sackstein’s advice), then she would definitely score 100%. Check out her latest emotive and truly game-changing advice in the legendary book ‘Education Write Now’ which was published in January (available on Amazon). As an internationally recognized educational blogger, Angela brings a wealth of ideas and life-changing solutions to the teaching profession. She started blogging in 2003 with her trailblazing and groundbreaking website for educators everywhere: Ms. Powell’s Management Ideas for Teachers. As a place to share tips and techniques on behavior management, organisation and teaching methodologies, the site expanded and evolved into the world-famous The Cornerstone for Teachers in 2008. Since the launch of The Cornerstone for Teachers, Angela has been heavily involved in improving the work-life balance and effectiveness of teachers everywhere. Her writing has featured in thousands of magazine articles, newsletters and internet resources and her ideas are utilized extensively in teacher training and preparation courses across America. In addition to all of this, Angela founded Due Season Press and Educational Services, through which she has created printable curriculum resources, online courses, 4 books, the Truth for Teachers podcast, and the 40 Hour Teacher Workweek Club (which is absolutely brilliant). The world ‘inspirational’ doesn’t go far enough to describe Angela’s work and influence in the field of education. Her teachings inform and benefit teachers all over the world and on International Women’s Day she rightly stands out as a role-model for educators everywhere. I love mathematics. I love manipulating equations and applying mathematics to problems in Biology and Chemistry. Jennifer Chang-Wathall loves mathematics too: so much so that she developed a revolutionary new way of teaching it! As a Lecturer at the prestigious University of Hong Kong, Jennifer stands out as woman who’s on a mission to improve how we teach mathematics forever. Published in 2016, her pioneering book: Concept-Based Mathematics, achieves what few subject texts can: it connects the dots! As a former mathematics teacher myself I understand how easy it is to become topic-focused and super-concerned about getting my students to complete problem after problem until they finally ‘get it’. Lower down the school this approach can work to a limited extent, but for advanced students (such as IBDP learners) it’s important to relate mathematics to the ‘big picture’. With Jennifer’s Concept-Based approach, students see how calculus can be applied to radioactive decay or how arithmetic and geometric progressions can be used to model the spread of disease. These cross-curricular and cross topic links within mathematics define a modern approach that encourages real deep-learning, exploration and thorough understanding. It looks like Jennifer has found a good way to get students to truly love mathematics again! Born in a Palestinian refugee camp, Hanan Al Hroub is an inspiration to so many. Changing lives one child at a time through her ‘No to Violence‘ message, Hanan Al Hroub uses a unique play she created to get kids to follow a peaceful path of life. Having suffered from violence herself and having her own children traumatized by a shooting incident on their way home from primary school, Hanan decided to tackle the problem of youth violence head-on. By developing trusting relationships with her students and emphasizing the importance of literacy, Hanan’s approach has led to a decline in violent behavior in school and has inspired colleagues to adopt similar methods.She describes how the violence that children experience on the streets gets brought into the classroom. However, after just a few months of following her programme, students show a dramatic improvement in their behavior towards each other. Hanan was formally recognized for her work when she was crowned Winner of the Varkey Foundation’s Global Teacher Award in 2016. She has also written a game-changing book: We Play and Learn, which continues to inspire and inform Palestinian teaching to this day. Adjima (nickname: Mod) has such a unique style of communication that she has earned herself the reputation of being one of the most famous Thai Language teachers in the world. 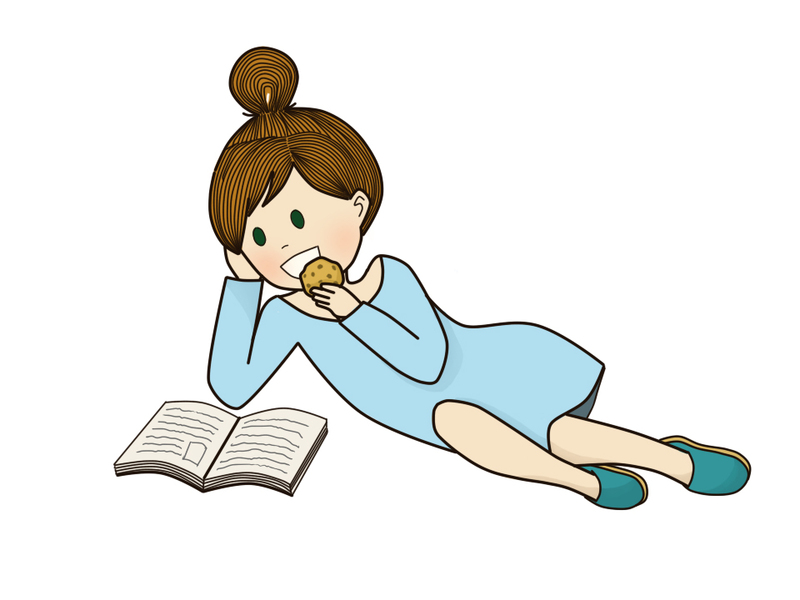 Her humorous and lively style appeals to expatriate, tourist and online learners alike. Her excellent website at http://learnthaiwithmod.com/ contains lots of excellent articles and great Thai language learning videos that make learning this beautiful language fun and easy. I’ve personally been an online student of hers for two years. Her videos and resources make learning Thai a really enjoyable experience. She has also has a unique way of ‘raising the bar’ each time without making the learner realise. Students of hers regularly comment that even though her material gets harder as you go along, it doesn’t feel that way because of the free and casual style of her teaching. That’s a unique skill that few teachers master. With a Facebook following of almost 28.000 people, Mod provides every netizen with ample and comprehensive access to Thai language learning. Doing away with traditional ‘rote’ earning, Mod’s playful style appeals to a new generation of multi-linguists. What do I take from Mod on a daily basis? That’s easy – smile, don’t be too serious and have energy: your students will learn better because of it! Annie Brock is a K-12 innovation specialist and the author of three great books: Introduction to Google Classroom, The Growth Mindset Coach, and The Growth Mindset Playbook. Annie’s pedagogical ideas have been well-received in the teaching profession, with her books receiving wide-acclaim for their excellent practicality and user-friendly format. The Growth Mindset Coach, for example, outlines a recurring month by month guide to actually developing the growth mindset with students in the classroom. I personally liked Annie’s book (which was co-authored by Heather Hundley – another inspirational teacher) for it’s ‘mantras’ that create a theme for each month. This makes the book really enjoyable and I can personally vouch for the fact that the techniques work! Her ‘not yet’ mantra for April, for example, really helped me to create formative and summative assessments that encourage students to go further and deeper with their learning, rather than accepting a point score and moving on. Annie lives in Holton, Kansas, with her husband, Jared, and their two children. Heather Hundley is a Director of Curriculum and an Assistant Elementary Principal in Kansas. She co-authored of two pioneering and influential books with Annie Brock: The Growth Mindset Coach and The Growth Mindset Playbook. Both books are absolutely brilliant and I would recommend them both. Additionally, The Growth Mindset Playbook is particularly good for improving communication with students and includes many great examples of engaging and effective lesson plans. Bottom-line: Heather and Annie write sense! Read their books – they’ll change the way you see yourself and your students! Heather is also very active on Twitter, where she offers lots of advice and tips on how encourage a growth mindset with students, colleagues and even parents! Heather lives in Holton, Kansas with her husband and their three children. Roberta Bondar is Canada’s first female astronaut and the first ever neurologist to go into space. After spending more than a decade as NASA’s head of space medicine, Roberta became a consultant and speaker in the scientific, business and medical communities. Roberta’s work has touched so many lives and she has been recognised by many honours and awards including the Order of Canada, the Order of Ontario, the NASA Space Medal, over 22 honorary degrees and induction into the Canadian Medical Hall of Fame. Respected for her expertise and clear teaching style, Roberta has been a star guest on television and radio networks throughout the United States and Canada. She featured in the 1994 movie Destiny in Space, and has also co-presented the Discovery Channel’s coverage of space shuttle launches. Roberta co-authored the legendary 1993 book (which is now a collector’s item): On the Shuttle. This book provides a mind-blowing look at life on the world’s first International Microgravity Laboratory and is great for teaching kids about life in Space. Bailey grew up in New York City, where she graduated from the Chapin School in 1956. She received her bachelor’s degree from the Radcliffe College, a master’s degree from Stevens Institute of Technology and her Ph.D. from Princeton University, where she was the first woman ever to receive a doctoral degree in economics. Bailey was the first woman appointed as a department head at Bell Laboratories (she led the economic research section there). Elizabeth worked in technical programming and economic research at Bell Laboratories from 1960 to 1977. Bailey joined The Wharton School in July 1991, having served from July 1990 to June 1991 as a professor at Carnegie Mellon University, andas a visiting scholar at the Yale School of Organization and Management. She was elected a Fellow of the American Academy of Arts and Sciences in 1997. She is still incredibly busy and active despite her any years of outstanding contribution and service. She serves on the Board of Directors of TIAA-CREF, Altria, and CSX Corporation and is a trustee of The Brookings Institution and a member of the National Bureau of Economic Research. Elizabeth has also been the Vice Chairmen of Bancroft NeuroHealth since 1989. Elizabeth’s best-known work is her book: Economic Theory of Regulatory Constraint. Published in 1972, this iconic book is a collectors item and is still used as a staple reference for economics undergraduates all over the world. Elizabeth’s achievements and contributions to the fields of economics and organizational management are globally significant and nothing short of legendary. No list about about amazing and inspirational women would be complete without a girl from my home country: Wales. Cardiff-born Ann Cotton gave up her regular teaching job and founded the Campaign for Female Education, also known as CAMFED, in 1993.CAMFED is an organisation that educates young women in rural Africa. Her work has supported African girls through school and helped to improve their living standards: lifting them out of poverty. By giving the opportunity of education to girls in poor African communities she has changed their lives forever. That’s what heroins do, and Ann Cotton is definitely a heroin. The model that she follows is to create sustainability in part through CAMA: a 25,000-member pan-African network of CAMFED graduates who are now rural businesswomen, and have become role models for their communities through the economic independence they have achieved for themselves. Almost 5,000 of these graduates have become teachers: further propagating the message of hope for so many. Ann was awarded the Wise prize at an education summit in Qatar in 2014 and was recognised by the OECD for best practice in development innovation. She was also honoured with an Order of the British Empire (O.B.E.) in 2006 in the Queen’s New Year’s Honours List. As a small token of gratitude from teachers everywhere, all of these inspirational women have been sent a copy of my book: The Quick Guide to Classroom Management, along with a box of chocolates. May teachers everywhere be touched and inspired by the works of these amazing women for many more years to come. He waddled his way through the corridor like a happy duckling. Amid the giggles and cries of small children he looked liked a giant orange with tentacles as he waded through the masses on his way to the library. Mr Jones was dressed as ‘Mr Tickle’ from the ‘Mr Men’ series of books. The outfit must have taken an astronomical amount of time to create. With orange fur and controllable arms it was clear who was going to win the ‘Best Dressed Teacher’ competition. If you said ‘James Bond’ then well done: you’re right! It’s a quick (and a little too lazy) conversion for me: change my tie to a bow, add a dinner shirt and a white pocket square and I’m ready to serve on Her Majesty’s Secret Service! Harry Potter – The all-time legendary series of fantasy books written by J.K. Rowling. These books have formed the basis for a whopping 8 different movies! The Hunger Games – These action packed dystopian novels featuring stoic and passionate heroin: Katniss Everdeen, have been transformed into five excellent films. What message does all of this send to kids when they are fully aware of the facts? That’s simple: Books are cool! Books are inspirational. Books change lives. 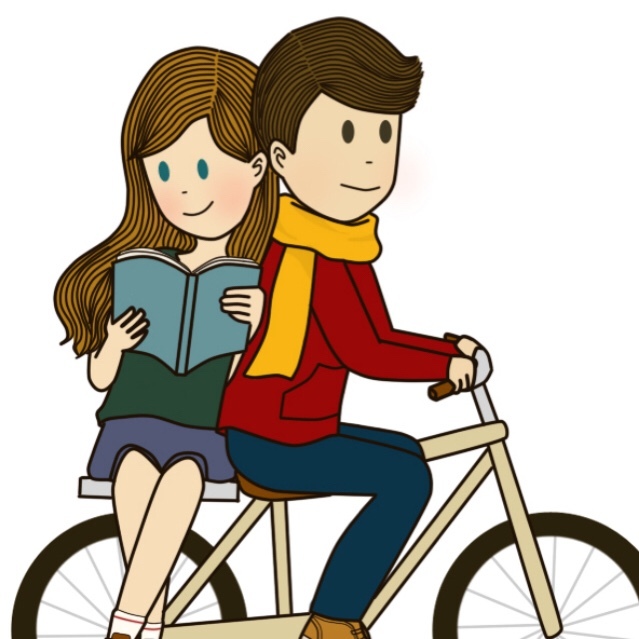 Read books! It’s a shame that World Book Day is only once per year. In reality, every day should be a World Book Day as we should encourage our kids to read books and enjoy learning English on a daily basis. As a teacher at an International School in Bangkok, I have the unique privilege and pleasure of working with classes where, in many cases, more than 90% of the students are working with English as an additional/second language. One of my unique missions every day is to help my students to see why English is a beautiful language. To help them notice patterns and sounds. To ensure that they use the correct language in their answers to exam-style questions. Eventually, the students can build up a long list of command terms in their Learning Journals or notebooks, coupled with their ‘kid-friendly’ descriptions. The display also follows Bloom’s Taxonomy, with command terms demanding more sophistication in written responses as you go up the pyramid. The result: Students learn good English vocabulary and score better on exams. What could be better than that! As I was helping these students, I found that explaining the command term first, before tackling the question, really helped in getting a suitable answer. The two girls who I was tutoring would say “Ah, I get it now” when the command term was made clear. Do you think that students will use these command terms in their daily and future lives? Absolutely! Command terms come up in a range of contexts when operating through the medium of English. For example: “How can we justify this business decision?”, “On the basis of the previous two-years sales, can you predict likely sales for the first quarter of this year?”, “How can we determine who is the best candidate for this role?”, and on we could go ad infinitum. Isn’t this what language-learning is all about? Getting students to learn key words, then to enjoy using those words and then to apply them to a range of contexts? In my honest opinion, command terms offer the ultimate key in cross-curricular learning and should be explored by curriculum leaders as a way to really ‘gel’ their subjects together. The result of this: deep learning and an added sense of importance attached to each subject as students see how they link together. I have a system set up where students in Year 11, 12 and 13 (approx. ages 15 – 18) bring me a journal filled with revision notes, key words, past-paper questions and answers every Monday. It’s such an effective way to boost confidence and performance, but it does require a bit of organisation and leadership from the teacher. Don’t forget to reward students for good work too: use your school’s points/merits system, write nice comments on their work and even think of special rewards: a ‘star of the week’ for example, where you display the student’s work on the class noticeboard. Science is great for teaching kids new words. When we, as teachers, genuinely love to pronounce and say key words then our kids will love doing that too. Of course, my number one word will come at the end of the academic year when the suspense and excitement has been building up for two terms. I recently used this joke with my Year 13 students to reinforce the term ‘Formal Charge’ – a concept in Organic Chemistry. This has long-term effects outside of the classroom too. Effects which fully embed the phrases. For example: when I was actually walking to the coffee shop one of my Year 13 students passed me and I said “What is your favorite F.C. ?” and she said “Formal Charge”. Clean and fun jokes can like this can be very powerful. The kids will say them to their parents and friends, and if you refer to them outside of the classroom (e.g. John, do you like my new notebook? John: I ‘alkalike’ it), then you can really embed these key terms. The result: Kids will love English, will repeat the words you say and will eventually use these key terms frequently in their written responses. There are many more strategies you can use to get your learners to enjoy learning the English language. Check out my blog posts on Learning Journals and Vocabulary Values for more tips. Using other strategies, such as vocabulary games, which you can find on my blog posts here and here.